I'm about to head into my very first TV show taping and I am beyond excited! I've always wanted to see how a show is produced. And today is that day. 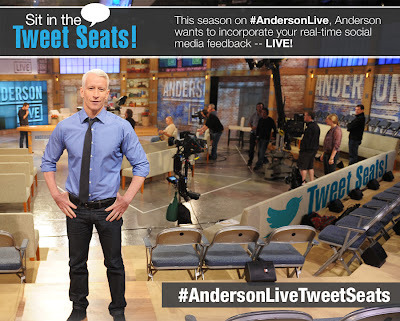 I about to see a taping of Anderson Live! Of course this is exciting. But it's an even bigger deal as I have been a complete Anderson fan since the early 90's. Oh yes, we (as in me and Anderson) go back to his earliest days on Channel One (with Lisa Ling). Gah...this is such a geeky moment for me and I am all sorts of squeaky thrilled! Crossing my fingers I can snag the much coveted Tweet Seats. But I know either way, it will be a completely fun experience to share with my sweet dad who is along for the adventure with me. And obviously I will be back tomorrow with details of my day romping around NYC and what it was like to be in the audience of a talk show. Have you ever seen any sort of TV show produced? Which one and how was your experience? 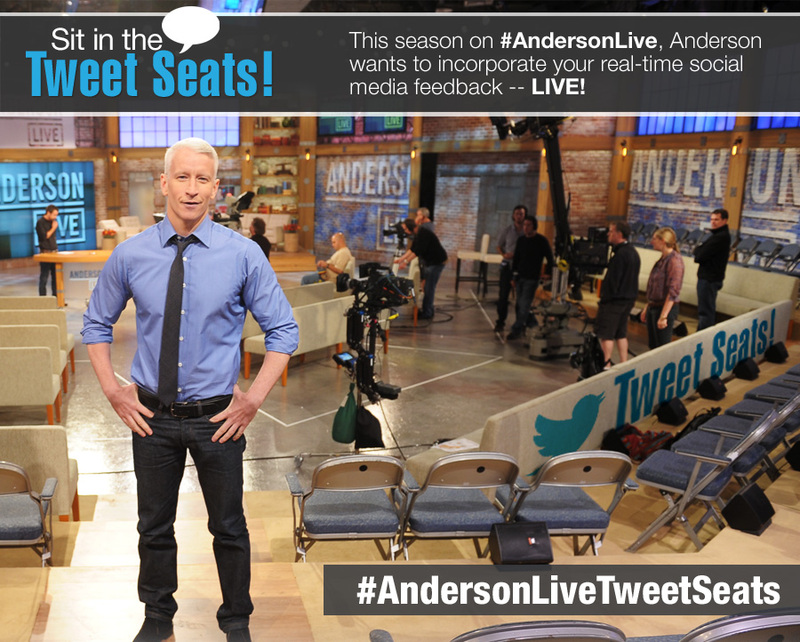 Hope you are in the tweet seats! Have so much fun! I too am a die-hard AC fan! ENJOY! Saw the Stephen Colbert show a few years ago... so fun. Scott has done Conan. None were planned but for Colbert. Fun to stumble on those! I haven't seen anything like that in person, but I was at a Pittsburgh Pops concert that was being taped for PBS--Marvin Hamlisch was the conductor. It was very interesting. I remember at one point they weren't happy with what they had taped of the audience, so they started the song about 30 seconds from the end and we had to all "pretend" it was the first time and applaud and all that stuff. It was funny! Hope you had a great time. When you can share the details with all of us. OMG!! I forgot he was on channel 1. I hated that program.